The Castelli Thermoflex legwarmers black concentrate on getting everything just right. The fabric is extra warm and stretchy, the fit eliminates any extra fabric, the silicone gripper at the top prevents the warmers from falling down, and the cross-wrap cuff at the bottom gives a touch of extra comfort. 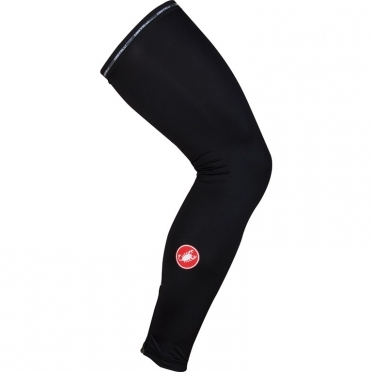 The Castelli Thermoflex kneewarmers black concentrate on getting everything just right. The fabric is extra warm and stretchy, the fit eliminates any extra fabric, the silicone gripper at the top prevents the warmers from falling down, and the cross-wrap cuff at the bottom gives a touch of extra comfort. If you’re riding without fenders you know that the lower legs get wheel spray from both front and back and are one of the hardest spots to keep dry. So Castelli has made the lower part of this leg warmer with waterproof reflective fabric so that the spray will just run off. You wear this warmer with your favorite shorts, underneath the Tempesta 3/4 pant, and OVER your waterproof booties. Tip: keep in mind that the Castelli clothing fits smaller than normal. 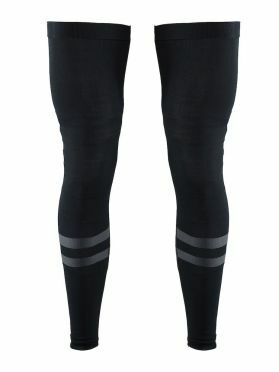 This Castelli Nanoflex+ kneewarmers black are 100% water-resistant, very breatheble, offers a lot of stretch and are very warm, cause they have a soft fleece innerside. Features a siliconen gripper so the kneewarmers will not slip down. 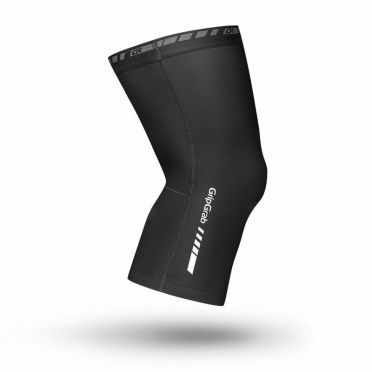 Castelli added an insert on the back in Nano flight fabric to improve the bend around the knee. Made of a NanoFlex fabric, which behaves just like castelli Thermoflex fabric in dry conditions, but then provides unbelievable water repellency when it starts raining. 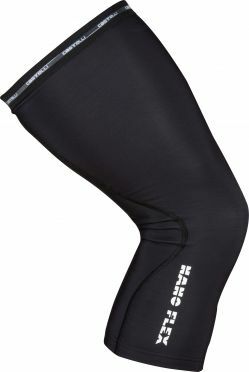 So this kneewarmers are full water-resistant but ensures also a very good moisture management. Tip: keep in mind that the Castelli clothing fits smaller than normal. This Castelli Nanoflex+ legwarmers black are 100% water-resistant, very breatheble, offers a lot of stretch and are very warm, cause they have a soft fleece innerside. Features a siliconen gripper so the leg warmers will not slip down. Equipped with a zipper at the bottom of the ankle, making it off and attract easily. 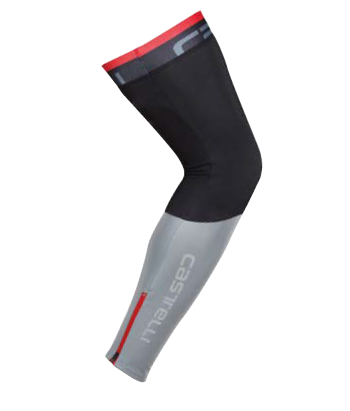 Castelli added an insert on the back in Nano flight fabric to improve the bend around the knee. Made of a NanoFlex fabric, which behaves just like castelli Thermoflex fabric in dry conditions, but then provides unbelievable water repellency when it starts raining. 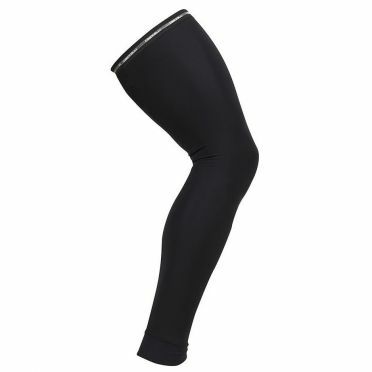 So this legwarmers are full water-resistant but ensures also a very good moisture management. Craft Kneewarmers unisex black with brushed inside that keep your knees warm in cold conditions. Silicone at upper hem makes sure the knee warmers stay in place. Ergonomic fit. 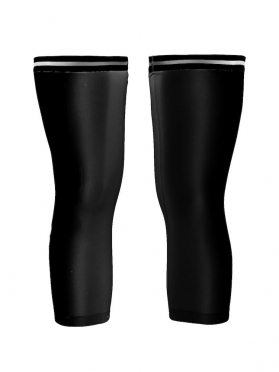 Craft Legwarmers unisex black with brushed inside that keep your legs warm in cold conditions. Silicone at upper hem makes sure the leg warmers stay in place. Ergonomic fit. 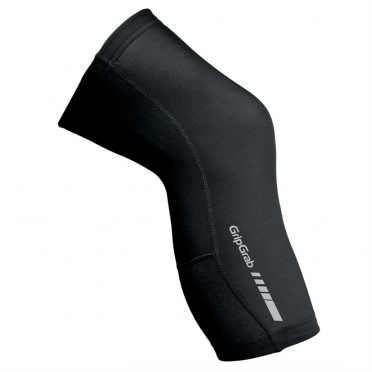 The GripGrab knee warmers are insulating and breathable knee warmers for biking on cold days. Made from insulating and breathable brushed fleece fabric. Designed to stay in place and fit comfortably in order to give you a feel good ride. 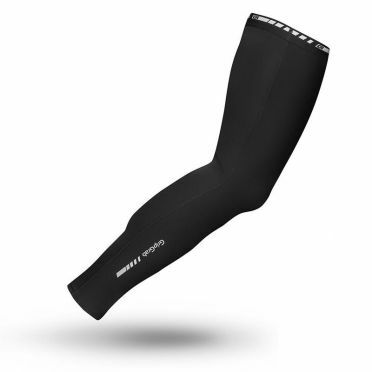 We can officially only rate these warmers at Castelli UPF 50+ light legwarmers black 16037-010, but in our laboratory tests they actually blocked 99.8 percent of damaging UV rays. Castelli used a polyester base that is not only more effective than nylon at blocking UV rays but is also much better at keeping you dry. They kept the construction very clean to eliminate seams that can rub, and we used our double-sided silicone elastic to make sure they stay in place. Tip: keep in mind that the Castelli clothing fits smaller than normal. 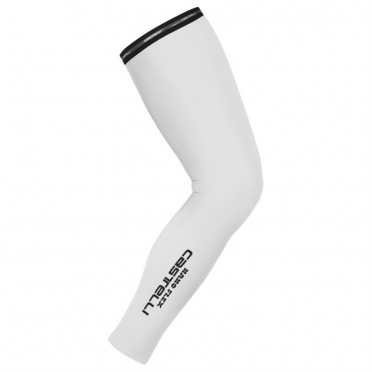 This Castelli Nanoflex legwarmers white 10537-001 are 100% water-resistant, very breatheble, offers a lot of stretch and are very warm, cause they have a soft fleece innerside. Features a siliconen gripper so the leg warmers will not slip down. Made of a NanoFlex fabric, which behaves just like castelli Thermoflex fabric in dry conditions, but then provides unbelievable water repellency when it starts raining. 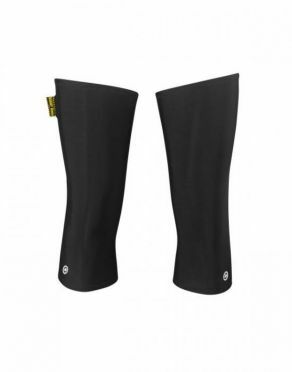 So this legwarmers are full water-resistant but ensures also a very good moisture management. Tip: keep in mind that the Castelli clothing fits smaller than normal. 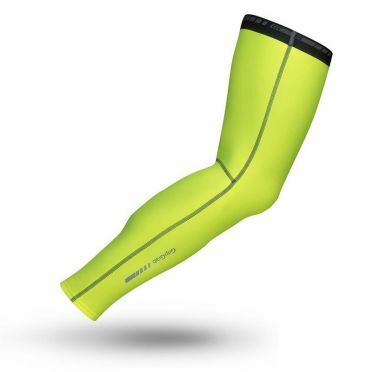 The Castelli Lycra legarmwarmers white 8070-001 are designed for cycling in spring or cool summer days and provide a normal protection against cold and wind. They are also well made for protection against the sun (use during sunny weather white color). 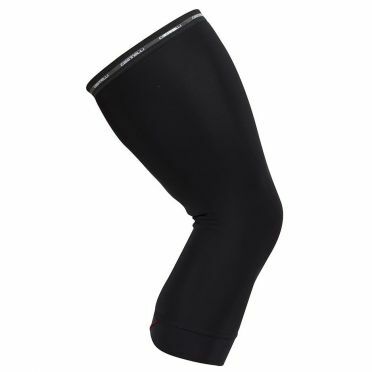 The legwarmers are unlined and made of a flexible and elastic lycra affinicty fabric, this also provides an optimal fit. The elastic silicone grippers keeps the warmers perfect in place. Tip: keep in mind that the Castelli clothing fits smaller than normal.